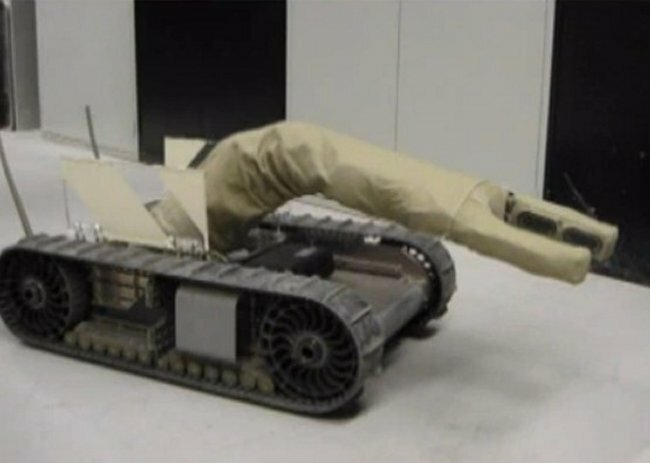 In the case of iRobot’s AIRarm prototype, one inflatable arm is better than a metal one. The Advanced Inflatable Robot (AIR) prototype is basically a Packbot that has had it’s metal arm replaced with an inflatable version able to lift four times its own half-pound weight. Most rigid robot arms can only lift a fraction of their own weight, so this represents a large gain in strength-to-weight ratio. The arm can get stronger by turning up the air pressure. As a bonus, the inflatable limb will also operate delicately around people and won’t be dangerous. For this prototype, iRobot’s is getting a $625,000 contract from DARPA to continue it’s development. I wonder if it also floats now that the arm is inflatable.